The Toplight specialist for more than 40 years! Sanders developed an aerodynamic driving school toplight which he brought to the market. The sales didn’t make any progress. A business connection of a taxi company in Helmond heard the story and liked the idea of having a new toplight on his taxi cars. After the development of this taxi toplight in 1985 this business connection of the Helmond taxi company started driving with this toplight and got really excited. Partly due to the fact that the new toplight was 3 times more expensive than the used taxi toplight at that time, the sales were still not successful. Sanders decided to test his taxi toplight in a wind tunnel at the TUV centre in Germany, but also tested the most used taxi toplight in The Netherlands at that time. It appeared the Barclay toplight was 10% more economical than the old toplight. 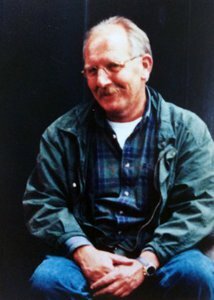 When Ger Sanders passed away in 1997 his wife and business associate, Ineke Sanders – De Jager, continued the activities of Barclay together with their children Mijntje and Stijn. In 2004 Barclay was sold to the company Taxitronic in Apeldoorn (Netherlands). During this “Taxitronic” period Stijn kept working for Barclay. In February 2015 Stijn repurchased Barclay together with his wife Nicole. Barclay will keep its focus on the development of the toplights and will concentrate on the demands of the taxi branch. Again Barclay is owned by family Sanders, but now by the next generation…..! Barclay started with driving school and taxi toplights. After that adaptors for police, fire brigade and ambulance. Smaller toplights were developed after market demand, e.g. Baby-Barclay, In-Between and the Nano. The Brussels region knew many unregistered taxi drivers and wanted to solve this problem. They wanted to develop an uniform toplight which would be donated to certificated taxi companies on presentation of their taxi-licence. They called for a public tender through a specifications book, which described the demands of the toplight. In Belgium no one submitted for this tender, thereby in 1996 the Brussels region came in contact with Barclay via contacts in the Dutch taxi branch. Barclay developed a prototype which met the specification book and this became the new toplight for the Brussels region. 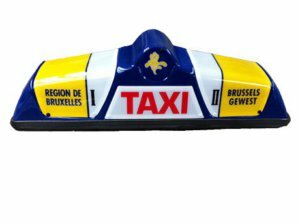 Within one year whole Brussels (1.850 taxi cars) was supplied with “spoetniks”. The region also launched a national campaign to inform the taxi users on the approved/certified taxi cars and their “spoetniks”. Problem with the unregistered taxi drivers was solved! The `spoetniks` were different per taxi car, which gave problems for the taxi companies when changing their cars. Therefore the region asked for a smaller version of the `spoetnik`. A baby version, fixed with magnets, was developed and distributed among the taxi companies. Since that time, the Brussels taxis are carrying a Baby-Spoetnik.